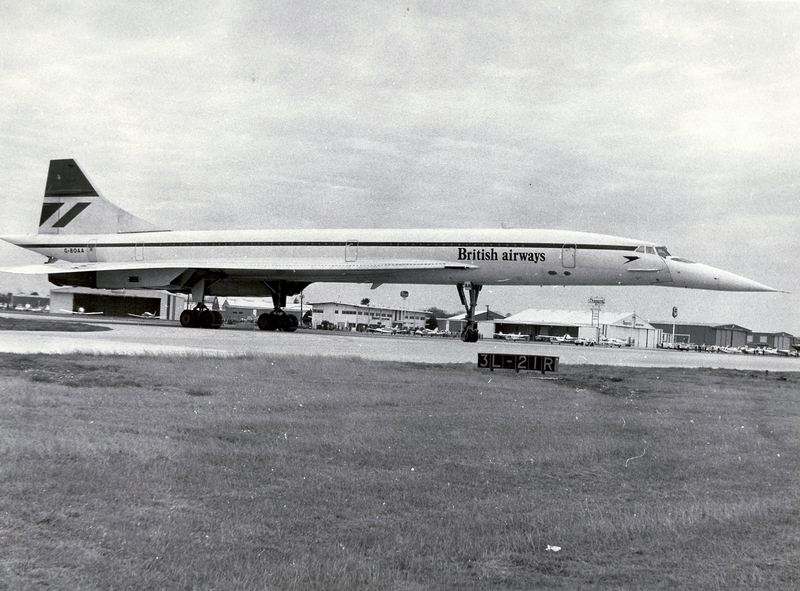 An estimated crowd of 5,000 people crowded the San Antonio International Airport’s terminal building, observation deck, parking lots and nearby roads to get a glimpse of Braniff 5188, in actuality the British Airways Concorde, as it landed in San Antonio. 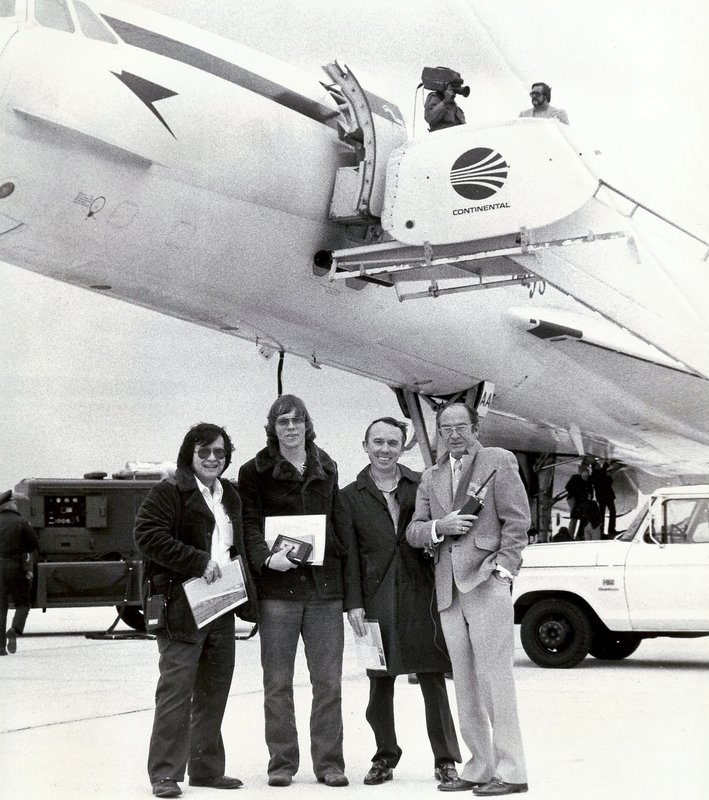 The visit was sponsored by Braniff to highlight subsonic Concorde service between Dallas-Ft. Worth and Washington Dulles beginning on January 12, 1979. Although the trip was organized by Braniff Airlines, you'd never know it by looking at the airplane. As I remember it, one side was painted with the British Airways logo while the other side was painted with Air France "markings." Bud Little (WOAI) pose for a picture with city airport director Tom Rafferty. Lucky for me the Press got an inside peek at the sleek aircraft. In a word, the cabin could be described as being 'cozy.' It only had about 100 seats configured in one premium class with two seats on either side of a very narrow aisle. With low hanging overhead bins, there wasn't much room to get out of your seat. Personally it would have made me claustrophobic. But in a sense it looked almost like any other plane, except, of course, for the mach meter prominently displayed on the front bulkhead. 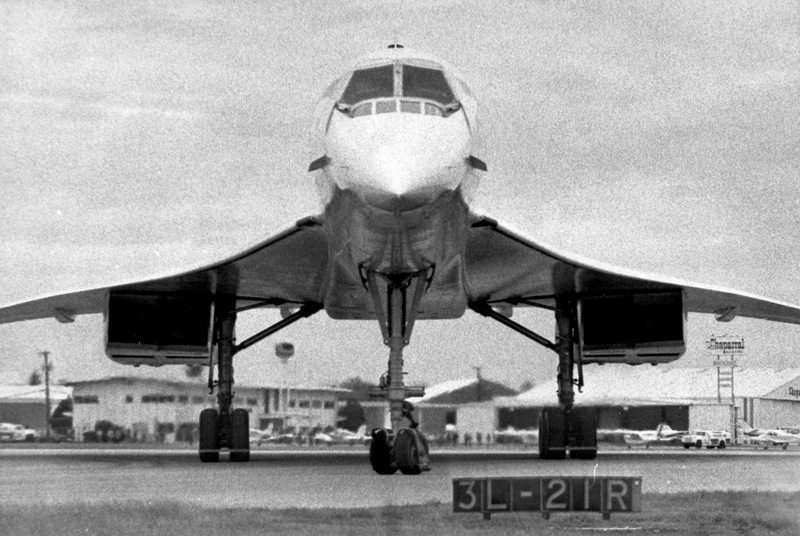 After all, this was THE Concorde. Even though this was the Concorde's first visit to the Alamo City, it would not be the last. In 1991 Queen Elizabeth II visited San Antonio as part of a whirlwind visit to Texas but she landed in her Concorde across town at Kelly Field, not San Antonio International. Speaking of Kelly...In an interesting coincidence, on the very same day that the Concorde was at SAT, another rare bird was visiting the Alamo City. The space shuttle atop a 747 landed at Kelly Field for an overnight stop on its way back to Cape Canaveral. What are the odds?! Rod Rodriguez Note: Prince Charles made his own visit to San Antonio in the late 1970s. England’s prince didn't arrive by Concorde but he did take the Alamo by storm. I stood about 10 feet away from him as he exited the Alamo with his entourage of secret service agents (double-0 class no doubt). Copyright 2014 by Rod Rodriguez & SanAntonioRadioMemories.com – All Rights Reservered.